How do you like my new purple website? I’m loving it! Purple has always been one of my favorite colors. My high school colors were purple and gold–Go Bears!– and purple is just a great color. But the color isn’t the only thing I changed. I consolidated a bit, moved my contemporary books over to share the same space with my Amish and other inspirational novels. It makes things easier on me in that I don’t have to keep up two separate websites. As of right now, I may host a few visitors on my Amie Louellen site, but most everything will be right here in one convenient place. There are a few other changes that I’ve made. I’m instituting a new rating system which will help readers know the sensuality and spirituality content of the book. Since I write all over the place, this genre and that, it’ll help everyone know which books are about what. See, that’s what happens when you have a crazy, chatty muse like I do. It’s good in that I never run out of ideas, but ‘bad’ in I never know where those ideas are going to land. Be sure to check out the For Readers tab; there are recipes and other fun stuff lurking there. And the All Things Amish tab which will lead you to…well, all things Amish. 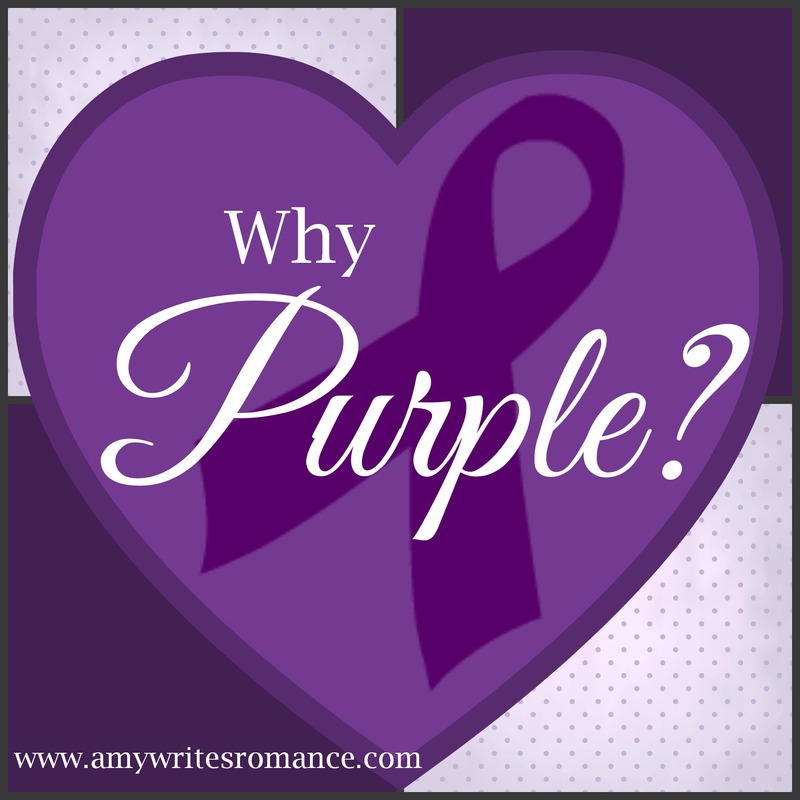 But lastly, I made my blog purple in honor of Fibromyalgia Awareness. I’ve never really talked openly about my battle with FMS, figuring that no one really wants to hear about my problems. But then I heard Robin Roberts speak. For those of you who don’t know, she’s a newscaster on the Today Show. Robin has been battling cancer and since her treatment is now fighting off a rare bone marrow disease. She has an unbeatable spirit and such a positive attitude that it is simply mind boggling. In this interview she shared her mother’s advice: Make your mess your message. We all have troubles and issues, things, diseases and difficulties that cause us to feel like less than we want. And we should share these with each other to help one another get through. We may be suffering, but we are not suffering alone. So that’s my mess–fibro with a couple of autoimmunes thrown in just to keep things interesting. I do my best to not get down about the things I can’t do and concentrate on the things that I still can. I can write books, share my stories with you, and still get around better than most. And I plan on writing these stories for a long time to come. Speaking of which, the color purple has a prominent place in my soon to be released, Courting Emily. So be on the watch for giveaways of purple prizes, purple recipes and other purple things. Just remember, Purple is as Purple does. I love purple too! My HS colors were purple and gold too–go BUCS!! Loved the newsletter. Your blog is wonderful, I like the ideal of showing how the books rate. Wonderful ideal. Thanks for letting be be a part of the team. I love purple too! My HS colors were purple and gold too! Go BUCS!! We have so many things in common. I have fibromyalgia too. My college colors were purple/gold too, as are my school colors now. (teach 3rd grade) My late husband was a police officer too. I’m on your Street Team. Go purple! LOVE your books!! WOW! What a lot we have in common! Thanks for reading!! Purple is my favorite color also.. Eggplant purple is my favorite shade. My bridesmaids wore purple… When I get gifts they usually have purple somewhere in them. A lot of the quilts I have made have shades of purple.. Yes, purple is as purple does… love that!